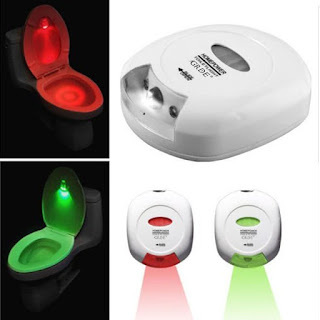 What do you think of this Motion Activated Toilet Light? Bathroom lights can be painfully bright in the middle of the night and can disturb you or your partner's sleep or other family members. Besides, most night lights waste electricity all night long, occupy valuable electrical sockets, and don't put light where you need it. The LavNav turns on when you approach in the dark, and turns off after you leave, shining gentle yet sufficient light where you need it, when you need it. Better yet, the LavNav uses RED or GREEN light to cleverly show the position of the seat. It's smart, energy efficient lighting that makes the bathroom safe and easy to use at night. BONUS QUESTION! Who has the best price? Today it is definitely the US Amazon site at 67% off! I use this cream its so nice cream. Cream claims that have been scientifically proven to have significant, long-term moisturizing and restorative effects on the skin. A healthy dose of antioxidant-rich tea complex and an infusion of vitamins A, C, and E make this skin-smoothing formula exceptionally fortifying and beneficial. For best results, use it as a complement to the Free Origins Night Health Bedtime Face Cream Cleanser. The smell though, is something you will either love or hate. To me it smells like lemongrass, and I really like it, but I have heard a lot of people complain f not liking it. Thanks for sharing with us.